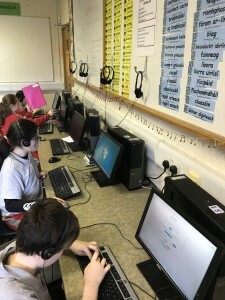 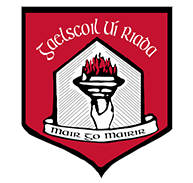 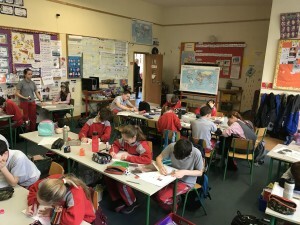 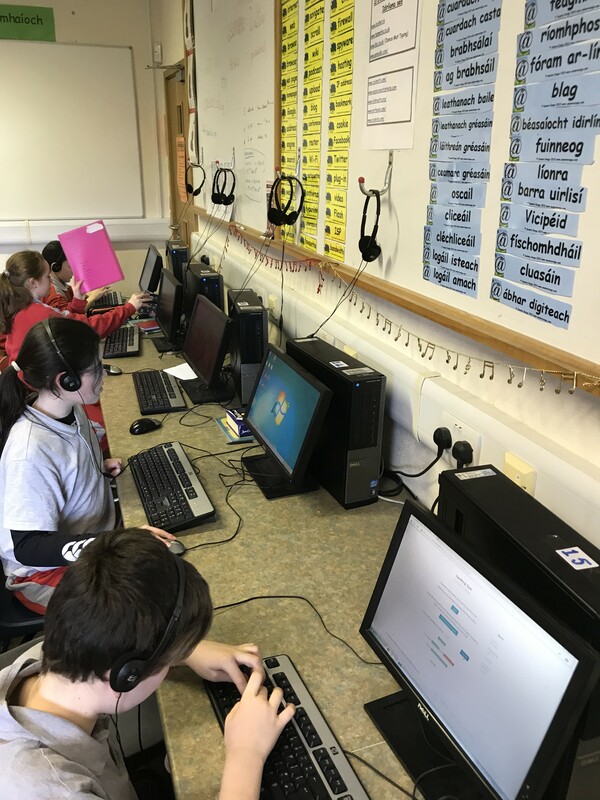 Seo chugainn Rang a 5 ag baint úsáid as na ríomhairí scoile chun an scrúdú litriú a dhéanamh. In airde ar sin tá Rang a 5 ag obair go dian ar an ‘Texaco Art Competition’. 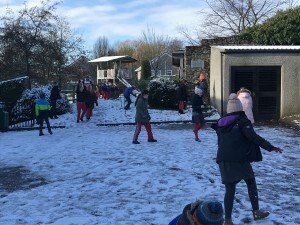 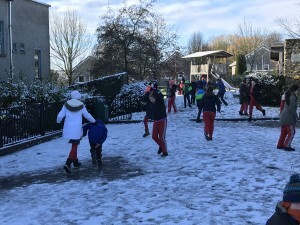 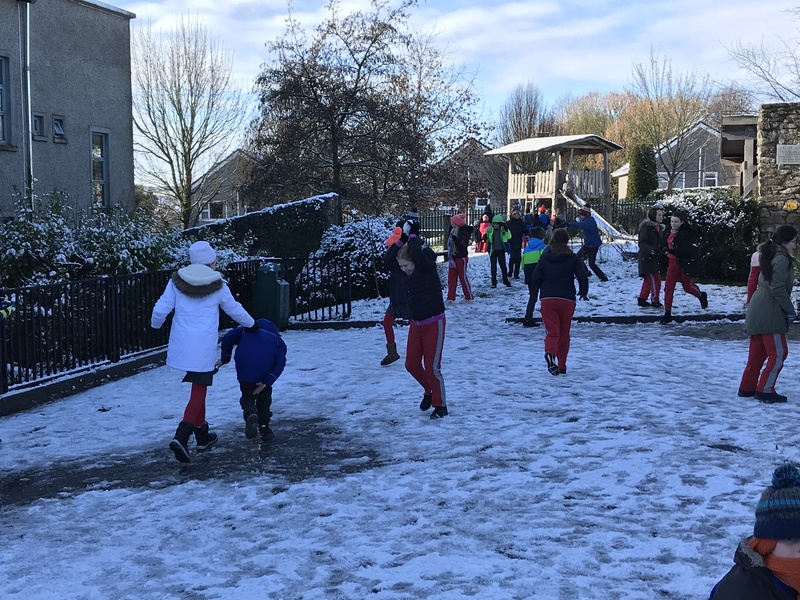 Ach is aoibhinn linn a bheith ag spraoi sa sneachta freisin!